Flexible visual environment for structuring, presenting, and sharing digital information. Visual Understanding Environment (VUE) is an application for concept and content mapping. 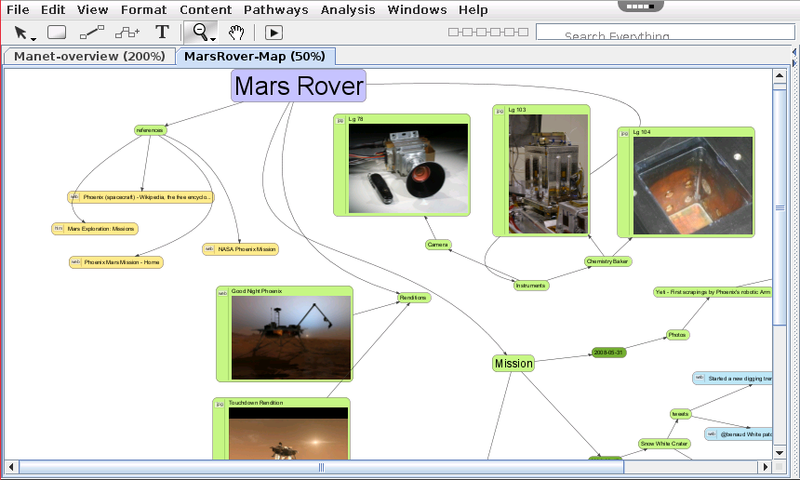 Great for anyone who needs to organize, contextualize, and access digital information. 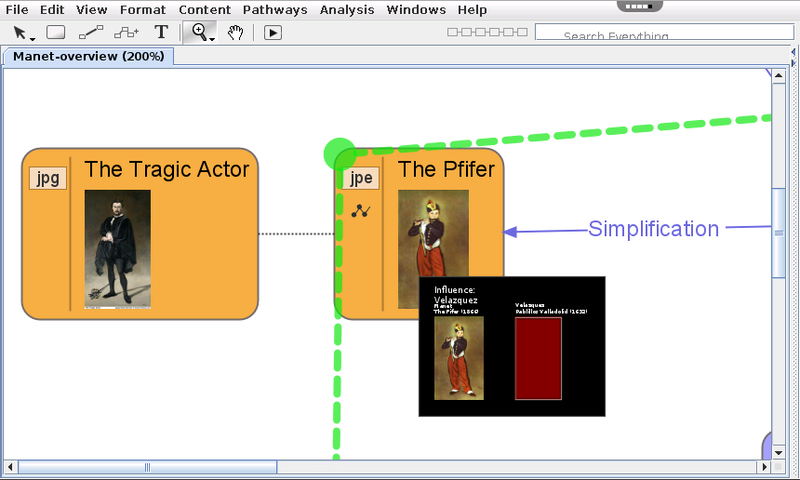 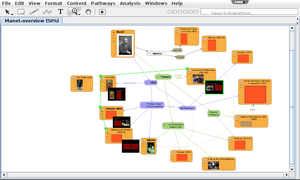 It provides a simple yet powerful set of tools and a basic visual grammar consisting of nodes and links, faculty and students can map relationships between concepts, ideas and digital content.